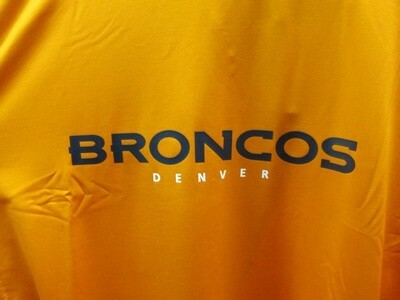 Denver Broncos current logo t-shirt. Multiple sizes available. Dri-Fit material.